The company has applied to list on the Toronto Stock Exchange. Roots was established in 1973 by founders Michael Budman and Don Green. 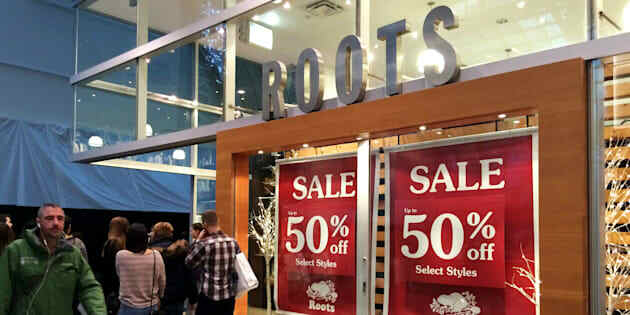 TORONTO — Canadian retailer Roots Corp. is launching an initial public offering of its shares. The company has applied to list on the Toronto Stock Exchange under the symbol ROOT. The price the shares will be issued at was not immediately disclosed. The Roots store located on the corner of Bloor St. West and Bellair St. in Toronto is shown on Feb. 6 2014. The retailer was established in 1973 by founders Michael Budman and Don Green. The pair sold a majority stake in the company to private investment firm Searchlight Capital Partners in 2015, but remained substantial shareholders. The company has more than 100 stores in Canada as well as four in the United States, partner-operated locations in Taiwan and China and an online retail business.